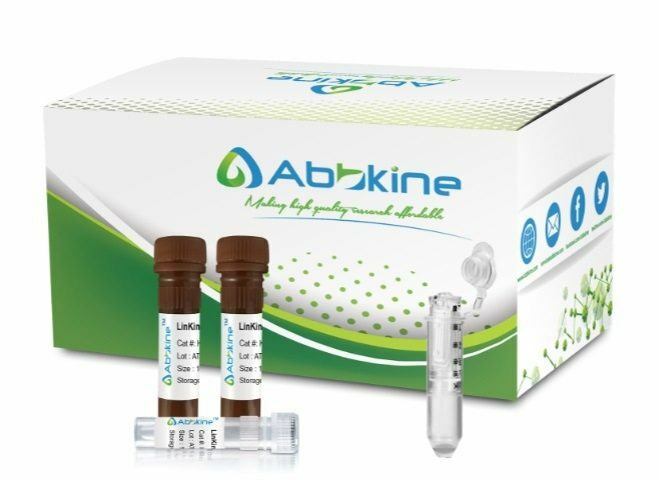 Abbkine Protein Quantification Kit (Bradford Assay) provides a simple and rapid procedure for determining the concentration of protein in samples. 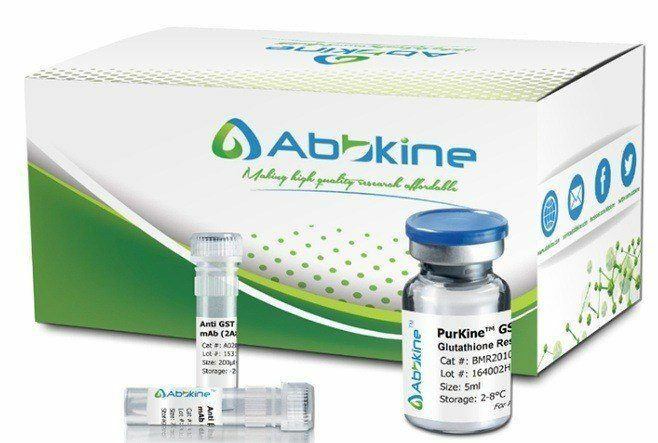 The method utilizes an improved Coomassie blue G reagent which forms a blue complex in the presence of protein. When coomassie dye binds protein in an acidic medium, an immediate shift in absorption maximum occurs from 465nm to 595nm with a concomitant color change from brown to blue.The intensity of the blue complex is proportional to the amount of proteinin the sample. • Time saving—almost immediate color development. • Compatible—unaffected by most chemical substances. The concentration of mercaptoethanol and dithiothreitol in the samples can reach 1mM and 5 mM respectively. • Broad range—working range from 50 to 1000 µg/ml. Due to the influence of high concentration detergent, it is necessary to ensure that the concentration of SDS is lower than 0.1 %, Triton X-100 is lower than 0.1 % and Tween 20, 60, 80 is lower than 0.06 % in the sample. The Bradford assay, a colorimetric protein assay, is based on an absorbance shift of the dye Coomassie Brilliant Blue G-250. The Coomassie Brilliant Blue G-250 dye exists in three forms: anionic (blue), neutral (green), and cationic (red). Under acidic conditions, the red form of the dye is converted into its blue form, binding to the protein being assayed. If there's no protein to bind, then the solution will remain brown. The cationic (unbound) form is green / red and has an absorption spectrum maximum historically held to be at 465 nm. The anionic bound form of the dye which is held together by hydrophobic and ionic interactions, has an absorption spectrum maximum historically held to be at 595 nm. 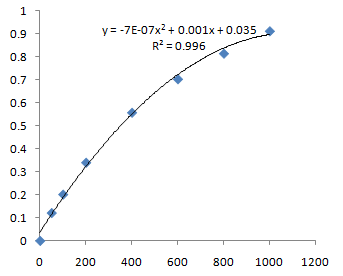 The increase of absorbance at 595 nm is proportional to the amount of bound dye, and thus to the amount (concentration) of protein present in the sample.